Don’t these pictures below look amazing? 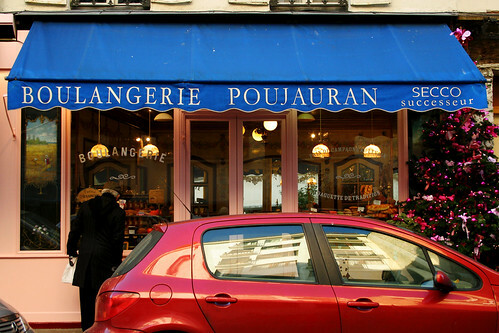 According to madeleine-connoisseurs, boulangerie-pâtisserie Poujauran makes the most delicious madeleines in Paris. Having never tasted a real Poujauran madeleine, I don’t know if this is true or not. 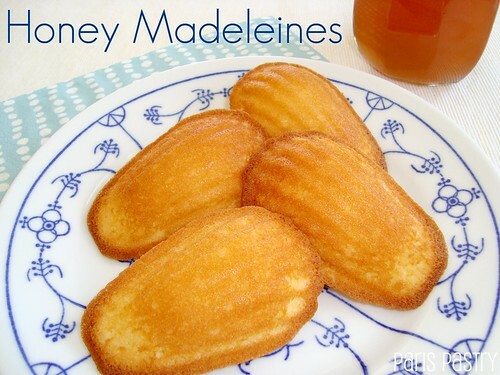 What I do know, is that my home-made version of their Madeleines au Miel (honey madeleines) are fantastic! It does make sense, adding sweet honey to madeleine batter. 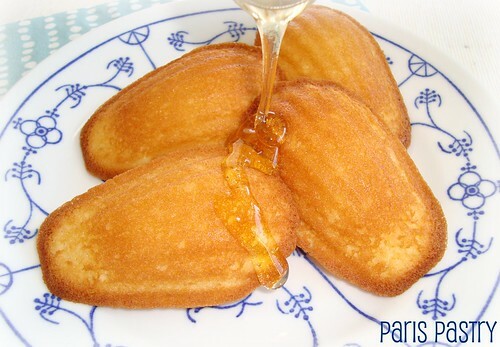 Along with pure vanilla extract and lemon zest, it is sure to make the most amazing tasting madeleines! Rating: 4 out of 5. 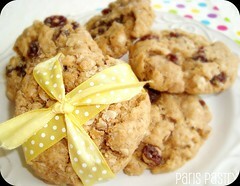 - Sift together the flour and baking powder and keep close at hand. Working with a mixer fitted with the whisk attachment, beat the eggs and sugar together on medium-high speed until they thicken and lighten in color, about 2 to 4 minutes. Beat in the lemon zest, honey and vanilla. Switch to a large rubber spatula and gently fold in the dry ingredients, followed by the melted butter. Cover the batter with plastic wrap, pressing it against the surface to create an airtight seal, and chill for at least 3 hours, preferably longer. 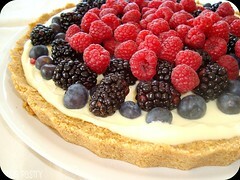 - Center a rack in the oven and preheat the oven to 400 degrees. If your madeleine pan is not nonstick, generously butter it, dust the insides with flour, and tap out the excess. If the pan is nonstick, yo still might want to give it an insurance coating of butter and flour. If it is silicone, do nothing. 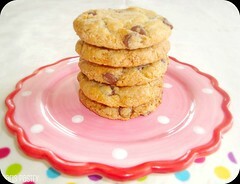 No matter what pan you have, place it on a baking sheet for easy transportability. 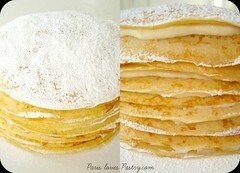 - Divide the batter among the molds, filling them almost to the top. 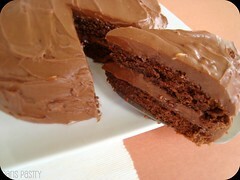 Don’t worry about smoothing the batter, it will even out as it bakes. - Bake large madeleines for 11 to 13 minutes, small ones for 8 to 10 minutes, or until the cookies are puffed and golden and spring back when touched. Pull the pan from the oven and remove the cookies by either tapping the pan against the counter (the madeleines should drop out) or gently running a butter knife around the edges of the cookies. Allow the madeleines to cool on a cooling rack. They can be served ever so slightly warm or at room temperature. I can't wait to try this recipe! I recently found a perfectly good Madeleine pan at my Goodwill Store and was so excited because I have been wanting to make these. 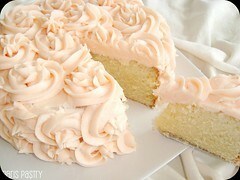 Too YUMMY looking for words! Thanks goodness I don't bake. These look absolutely delicious! I've never eaten them with drizzled honey. Can you believe I purchased a madeleine pan some time ago and have yet to use it? This is the perfect recipe to try! @Danielle: Soft. 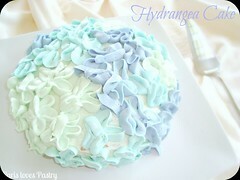 Like a sponge cake. I could just eat the photos and be happy! 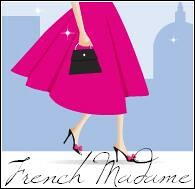 Adding honey really changes everything in a madeleine--Ladurée's version has some as well! These look delicious! Great blog you have here. I love Dorrie's recipes, too. 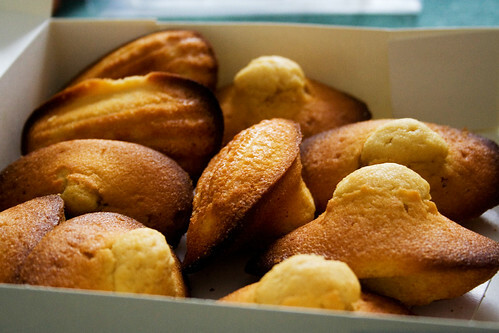 I think your Madeleines look more perfect! 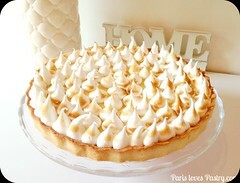 And soft honey goodness, I wish I had one with a glass of milk now! Been really loving the flavor of honey lately. 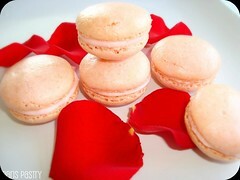 These look very yummy, Danielle :). @La Lola: Like a bite-sized sponge cake. They're actually quite good if you buy them from a decent bakery, but store-bought ones can taste yuck! 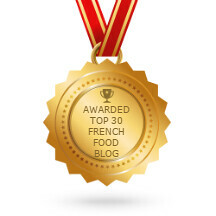 Next time you visit Paris, I'll take you out to try the best ones in the city. 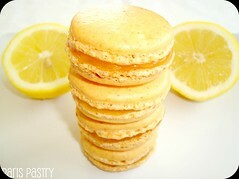 You can't go wrong with honey, lemon zest and vanilla :) They look amazing. 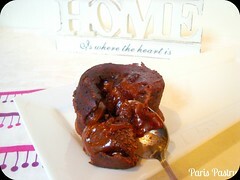 I have been looking for an excuse to buy a nice madeleines pan :) I think I found a reason! Would this be good with almond extract too?